In December we sent every forum member a copy of their details as they will appear in the new directory (A-Z section, and classifieds). A big thank you to those who have already returned their forms, but there are many still outstanding. We don’t want to print inaccurate information! The Maidstone Economic Business Partnership (MEBP) is an industry led partnership established in 2014 supported by Maidstone Borough Council (MBC) with business and skills providers from the Maidstone area. To promote business start-up and a culture of enterprise and entrepreneurship. To champion the production of the Borough’s Economic Development Strategy. Don’t forget to LIKE the Marden Business Forum on Facebook.All events and reminders are on our page. We are preparing the 2018 Business Directory, which will be distributed to every business and household in the Marden Parish. the classified section of the directory. Host your own MBF event? 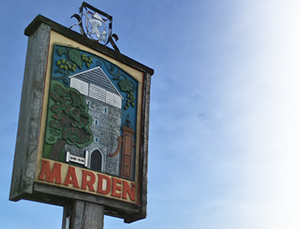 The Marden Business Forum would like to invite you to host an event at your premises. This is a chance to tell the story of your success, perhaps a factory/workshop tour, a ‘have a go’ or tasting, followed by buffet food and drinks. The Business Forum have a budget for each event which we will give you to help with costs. The average attendance is between 30-40 people but numbers can be limited dependant on the size of your premises. New Directory Recipe, can you help? Every MBF directory has a section for a recipe with locally sourced ingredients. In recent years we have had “Brown Betty Pudding” and “WI Favourite Mincemeat Squares”. If you’ve got an event coming up, won an award, got some news to share or a vacancy to fill, then let the forum know about it! All articles must be emailed to newsletter@mardenbusinessforum.com before 12 noon on Thursday 1st February to be included in February’s newsletter.